﻿Fifty Years is an entrepreneur-run early stage venture fund based in San Francisco, CaliforniaCalifornia focused on investing in technology companies. Fifty Years funds companies which are attempting to solve the UN Sustainable Development Goals, with a focus on synthetic biology and food technology companies. Fifty Years VC focuses primarily on seed stage investments into companies with built products and some market validation. The fund was founded by Seth Bannon and Ela Madej in 2016, and formed its name from a famous essay "Fifty Years Hence" written by Winston Churchill in 1932. Notable companies Fifty Years VC has invested in include: Geltor, Memphis Meats, Starsky Robotics, Astranis, and Cofactor Genomics. Fifty Years is a venture capital seed fund based in San Francisco, focusedCalifornia founded by Seth Bannon and Ela Madej in 2016 and focuses on investing in the impact technology market. ﻿Fifty Years is an entrepreneur-run early stage venture fund based in San Francisco, California focused on investing in technology companies. Fifty Years funds companies which are attempting to solve the UN Sustainable Development Goals, with a focus on synthetic biology and food technology companies. Fifty Years VC focuses primarily on seed stage investments into companies with built products and some of which are attempting to solve the UN Sustainable Developmentmarket Goalsvalidation. The fund was founded by Seth Bannon and Ela Madej in 2016, and formed its name from a famous essay "Fifty Years Hence" written by Winston Churchill in 19321932. Notable companies Fifty Years VC has invested in include: Geltor, Memphis Meats, Starsky Robotics, Astranis, and Cofactor Genomics. Fifty Years is a seed fund fundingbased entrepreneursin San Francisco focused on in the impact techtechnology spacemarket. Fifty Years is an entrepreneur-run early stage venture fund based in San FranciscoSan Francisco. Fifty Years funds companies some of which are attempting to solve the UN Sustainable Development GoalsUN Sustainable Development Goals. The fund was founded by Seth BannonSeth Bannon and Ela MadejEla Madej in 2016, and formed its name from a famous essay "Fifty Years HenceFifty Years Hence" written by Winston ChurchillWinston Churchill in 1932. "thanks for the edit, added people to people table, category, made more neutral, removed value judgement statements, would be great to get the portfolio in"
Fifty Years is a seed fund supportingfunding entrepreneurs solvingin the world'simpact biggesttech problemsspace. 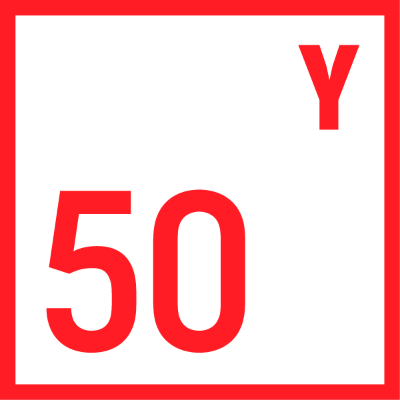 Fifty Years is an entrepreneur-run early stage venture fund based in San Francisco. Fifty Years funds companies that, if successful, will be both massively profitable and make a serious dent in achieving onesome of which are attempting to solve the UN Sustainable Development Goals. The fund was founded by Seth Bannon and Ela Madej in 2016, and has borrowedformed its name from a famous essay "Fifty Years Hence" written by Winston Churchill in 1932. Fifty Years is a seed fund supporting entrepreneurs solving the world's biggest problems. Fifty Years is an entrepreneur-run early stage venture fund based in San Francisco. Fifty Years funds companies that, if successful, will be both massively profitable and make a serious dent in achieving one of the UN Sustainable Development Goals. The fund was founded by Seth Bannon and Ela Madej in 2016, and has borrowed its name from a famous essay "Fifty Years Hence" written by Winston Churchill in 1932.